You are ether, an endless ocean of light. 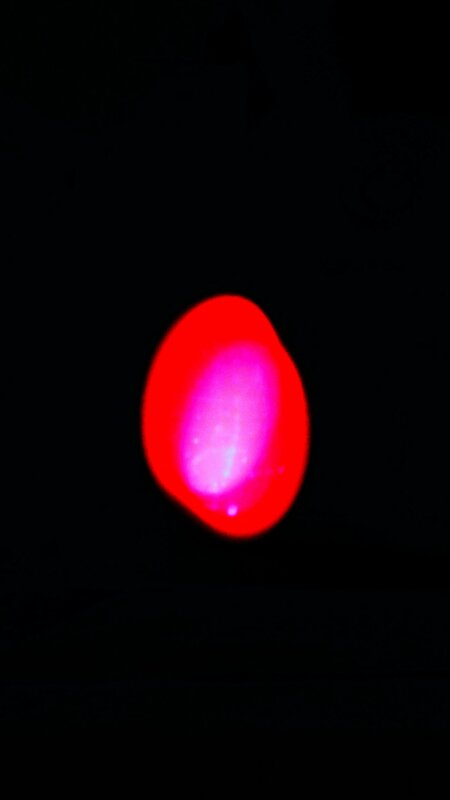 With you shining the way you did, life is a mere mortal. Thank you, the illuminated one. Let’s build some context and see this through the prism of some totally unrelated events. Inspector Khandwilkar is suspended and subjected to a Police inquiry. 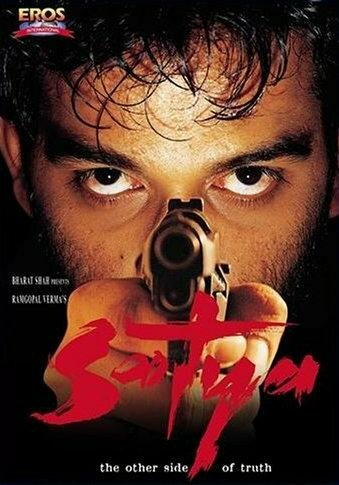 The question is very simple, “Inspector Khandwilkar, You knew that Satya is a dreaded gangster and he would have done everything in his ability to protect himself, why did you choose to put so many lives in danger.” Inspector’s answer, “Sir, I did what I felt at that time was appropriate”. Khandwilkar at that moment had no clue that Satya would react the way he did and his step though in hindsight totally fool hardy looked perfect at that time. Now this line “Unknown Unknowns” created quite a furore, there were multiple views on this observation, some felt this was a vieled acceptance of an earlier false position that America held, but largely it is considered as the articulation of the Blind spot in decision making, i.e the unknown unknowns, all the things that we don’t know about that could go wrong or play a part, when we take any decision our decision is largely based on cause and effect variables within our comprehension, what if there are others that could go wrong.. In the March of 1960, right after Kennedy had taken office, he was breifed about the brilliant plan to attack Cuba using 1400 Cubans with the help of the Mighty American Navy and Airforce at the Bay of Pigs on Cuba’s south coast. The aim was to overthrow Castro, however from day one nothing went as planned. On the first day the Cubans sank one supply ship and the others had to turn back. On day two Castro’s army completely rounded up the army and sent them to the prison. 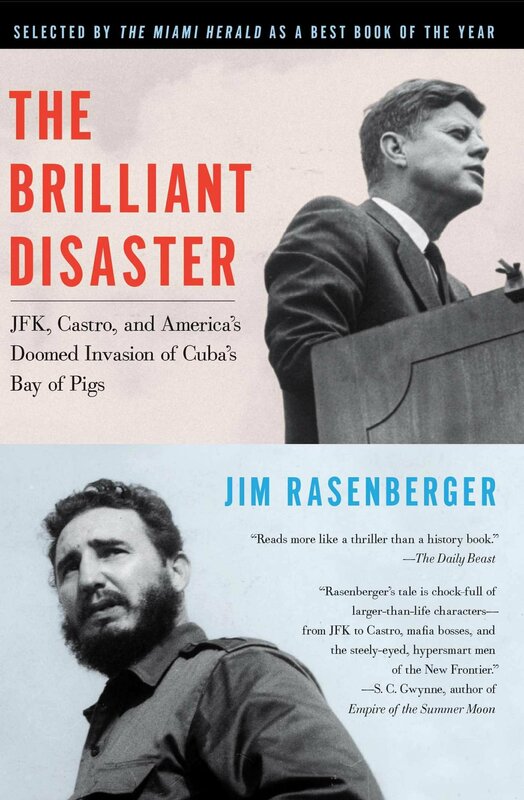 In hindsight it was the most ridiculous plan ever envisaged and executed, for.eg in the event of an emergency the Americans planned to plant themselves in the Escambray Mountains and launch a covert attack, only to realise that the mountains were more than 100 miles from Bay of Pigs with a swamp separating them. How could the mighty Americans bungle up in this magnitude. Did they underestimate Castro’s power? 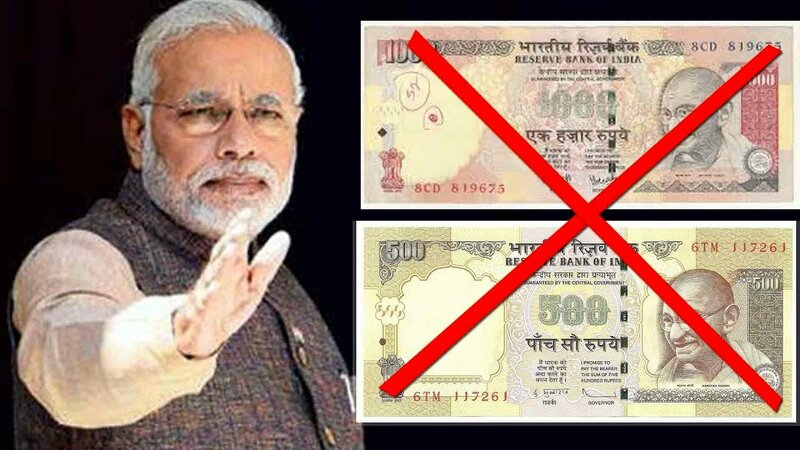 On 8th November 2016, Narendra Modi appeared on National Television and announced that from the midnight of 8th November Rs.500/- and Rs.1000/- won’t be legal tender. There were multiple reactions to this decision. I must admit that I myself at that moment felt it was a master stroke, the rationale was simple, All black money would need to come back to the banking system, the people who have legit money have nothing to worry and the others would have to take a call on burning their stash or explaining to the tax man their source of funds… Either way all the money would be back in the banking system and would leave a trail back to the real owner, this was the best thing to curb black money. The wide expectation was that atleast 20% of the money about 50 billion$ worth would never come back and would make the RBI a neat profit and reduce our budgetary deficit. It was decisive, bold and most of us believed it was a master stroke, Today we are all eating our words. Some big economists warned on the pitfalls, Dr.Manmohan Singh said this was a terrible move and had the potential of shrinking GDP by 2%. The ex RBI governor Raghuram Rajan when queried didn’t support the move. Today the RBI has announced that almost 99% of the money did actually comeback to the banking system, and the popular consensus is that Demonitisation was an abject failure, turns out Dr.Manmohan Singh was spot on, Demonetisation gave a body blow to the unorganised economy and had a domino effect on job creation and output creation. How did all the money comeback? Was there no black money in the system? 2. Co-operative banks, which are quasi owned by Political parties and are operationally outside RBI’s perview reported the most mismatch of nos on accounting. 3.Real estate companies worked as fronts and in connivance with interested parties to help launder. The Govt’s view is that we still have a trail and we will reach the last person, while it looks hopeful, one’s fear is this will turn out to be like finding a needle in a haystack. The ones who did this would have taken enough steps to come up with explanations that could distance themselves from this money if investigation reached their door step. The founding principle of economics is that rational people think at a margin, which means that given a certain stimulus or a circumstance, rational people will behave in a particular way. All behavioral models tend to have this assumption, but what if the decision taken in rationality affects people who have an incentive to behave irrationally? Like why is it that the Govt took so much time to catch Veerappan? Or why did Columbia take so much time to catch Pablo Escobar? These people were irrational and they manipulated the system in all possible ways to ensure they went scot free. So they knew the breaking points of all constituents who would be instrumental in catching them, then they manipulated them, making the system look absolutely foolish. The moot point in all the above eg.s is why is it that we are not able to judge the fallacies of the decisions while making them and why are the pitfalls clear only in hindsight? To my mind there are mental fallacies at two levels which make these decisions perfect blinders. 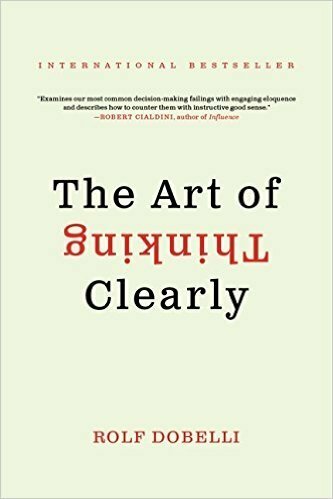 I had once read a book written by Rolf Dobelli, “The art of thinking clearly” which articluated thinking biases held by people and some of the fallacies strike a chord in uncovering this Decision blind spot. Deformation Professionele: Mark Twain once said that if the only tool you have is a hammer then all you will see is nails. Basically a thinking fallacy where one looks at every problem through the prism of their limited knowledge. If you state a problem like say “Intolerance” and ask a banker, an army man and a Psychologist about the reasons. The banker may say it’s coming out of lack of money, the army man may say shoot the pschophants and the psychologist may say it’s because of collective depression..the answer may not be any of the above mentioned reasons, it may be all of them in some measure or none of them. So Demonetisation may be a political solution that a totalitarian regime may come up with, like history has shown, Demonetisation took place in Nigeria, Ghana, Zimbabwe, most of them totalitarian regimes run by dictators. There could be many other economic solutions to tackle black money, infact India’s best step ever to counter black money was Liberalisation, removing the need to generate black money, the current regime has shown to have totalitarian tendencies and wider consultation might have brought out this thinking fallacy. Hyperbolic discounting: I give you two options, You can take 1000$ right now or 1100$ after a month, what will you take, intuitively… First option. Let’s assume we give this option to rats, one portion of cheese today or two portions tomorrow, same answer, option 1. We are the descendants of foragers and our DNA is programmed such that survival or immediate fulfillment is most important. Look at Demonetisation. The immediate effect of Demonetisation was that banks immediately were recapitalised, the future impact was yet to be assessed but the money was a big carrot, Hyperbolic discounting anyone? Social Proof: We are the descendents of hunters and foragers, imagine if you were in the Savana, and someone shouted “Tiger”, survival instincts would mean we would run before looking back, this ensures our survival. Sadly we don’t live in the Savanna and the Tigers are fending for their lives. The issue is we still carry the same genes, so the moment we hear on Social media that Demonetisation is a good thing and we don’t necessarily hold an oppinion ourselves, we allign with the majority opinion, it helps to be part of the herd. Confirmation bias; This is the mother of all biases. Simply put you will look at all events outside basis your view of the world. So for eg if you are a Modi Bhakt, then Demonetisation is good, irrespective of any of its objective failures, conversely if you are a baiter the converse would hold true, but majority in India I believe swing the other side and hence still believe that Demonetisation was a great move, isn’t that why they won the UP elections? False causality: Many people believe if there are books in your house, children will naturally be intelligent, because it is seen that intelligent kids have lots of books in their houses, now this could also be because kids who have a lot of books also have intelligent parents, which is conveniently forgotten. Similarly during Demonetisation people were told that standing in line to deposit your own money was similar to the sacrifice done by the soldiers at Siachen and this was infact nation building, most people bought this argument, but was this false causality at play? It will get worse before it gets better fallacy: Now imagine this, you are holidaying in a remote location, suddenly you have a stomach upset, some one gets you a doctor who prescribes you a pill, before handing over the pill the doctor cautions, it will get worse before it gets better. You brace for it, and as told by the doctor, the pain gets worse, you hold on thinking this is exactly what the doctor said, until your appendix bursts… Point being, this exactly what Modi said, “This is a Yagya” ” I ask for 50 days” ” Our Jawans are dying in Siyachen can’t we stand in a line?” All for a great cause, and we did for the Acche Din to come. Well did it come? Did we buy the argument? We did. Halo effect: In the early part of 2000 before the crash obviously, the Fed chief Alan Greenspan was a prophetic figure, his words were gospel, he continued reducing interest rate and America continued to grow, until well the economy crashed… And the same people who were hero worshiping him questioned him. Similarly Modi has carefully built an image in his campaign, of a crusader against black money, he had promised to give 15 Lakh in the account of each Indian if elected to power, A common man, a pragmatist who became India’s Prime Minister. He embodied hope. So when he says Demonetisation is National service, all his voters take him for his word, The question is, is the Halo slowly disappearing? There could be many more cognitive biases that could explain why the decision makers and the subjects bungled up at this scale when it came to Demonetisation, but the point to ponder is that every action you take has an equal and opposite reaction and assumptions based on rationality don’t work when you are dealing with irrational people. As someone said Common sense is seldom Common Practise. 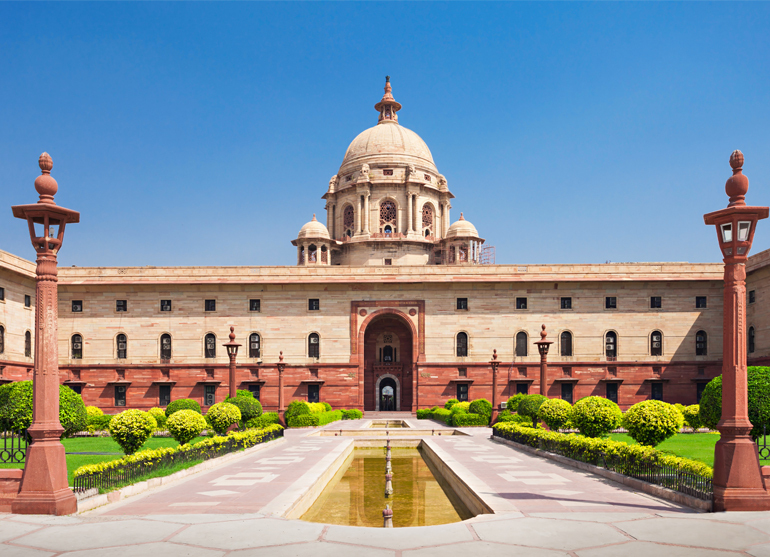 We are in the midst of the Presidential Elections in India. There are two contenders and the winner is a bygone conclusion. The biggest quality that both the contenders posses apparently is their caste apart from their public service credentials. One of them is also daughter of a famous father. 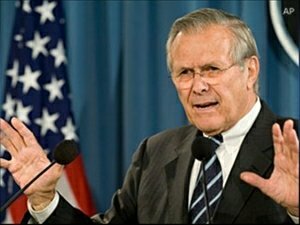 Does it really matter who is the President? Does he or she have any real power. Isn’t the position that of a mere figure head or say a rubber stamp. Isn’t it a relic of the Raj? Why waste so much money on the upkeep of this facade? Why can’t we just do away with it and shall we say be a true blue democracy? 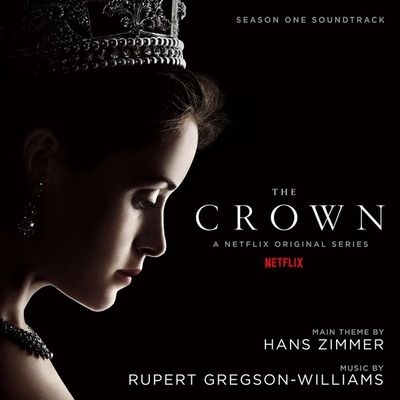 I must admit, I am addicted to Netflix and The Crown is my latest binge. My affair with The Crown will be over tonight itself and then I will be onto Narcos. Coming back to The Crown. The Crown has captured my attention and has given me a glimpse to the early years of the current Queen’s annointment. Her relationship with the government. Her relationship with her family and the Golden Cage that she lives in which is the title called “The Crown”. There is pretty much nothing that she could do of her own volition and she needs to take permission from her advisors and the cabinet for pretty much everything. It’s almost like she has to dress up, look the part, show up and read speeches written for her. She doesn’t even have the right to change the speech. The queen is pretty much the most galvanised prisoner there is. But is it so? We get a glimpse of her power in one instance. Winston Churchill, yes the man who caused the Great Bengal famine(I believe once when he was queried while diverting food for Bengal to the war and causing the great Bengal Famine, he asked “Did Gandhi die?”) Nevertheless… The old man is ill and there are pressing matters of the state without getting into specifics that he needs to attend to. The old man wishes to cling on to power till the last straw and conceals his health from the queen. This is in contravention to his duties as a Prime Minister. The Queen calls Mr. Churchill and gives him a dressing down. A very significant occasion in the series as this is the rare instance when the young 25 year old figure head exercises but any power on the 77 year old statesman. What is significant is the interpretation of the constitution that she draws from. She quotes from the book “The English Constitution” by Walter Bagehot which calls the elected govt and the Crown as the Efficient and the Dignified. Walter says that there is a reason why power has been gently balanced between The Efficient and the Dignified. For all practical purposes the power rests with the Elected Govt, but then they are running the Govt of the Crown and the Crown draws the power from well God. The interpretation is that the Crown in 99% of the time is just a figurehead but when the time comes it is the concience keeper of the nation. There are very subtle things that the crown can do which can rein in the elected govt if it steps out of line. Power is a very subtle thing. And hence it needs to be balanced for any possible indescretions. Let’s look at a traditional Indian House hold. There is a Grand Father, who pretty much depends upon every one in the house for his daily chores. He is on a perenial support system. Can’t hear properly, can’t chew his food. The father runs the house, The mother manages internal matters. But when the elders are out of line, say too tough with the kids or do something that the kids can’t reprimand them for, like say a drinking habit or anything grave, this old almost indisposed person exercises power that till now lay dormant and the elders fall in line. The power is drawn from cultural conditioning and a shared societal value system. Now let’s look at the Indian Presidency in this light. There is no doubt that like the Westminster model the Indian President is largely a figurehead with not many real powers. However the President like the earlier eg can and has exercised powers when the elected or shall I say the Efficient has been out of line. Instance 1. 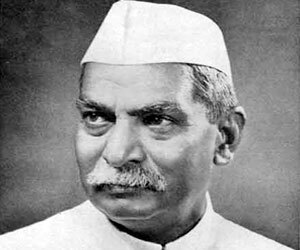 Dr. RAJENDRA Prasad opposing the Hindu Code Bill, he warned Nehru that he would refer the bill to the supreme court, resulting in a watered down version of the bill being passed. Instance 4. 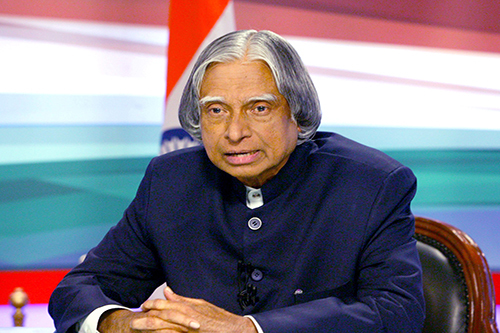 President Kalam exercised suspensive Veto when he refused to sign the Office for Profit bill and sent it back to the cabinet, only to be cleared post ammendments. Instance 5. 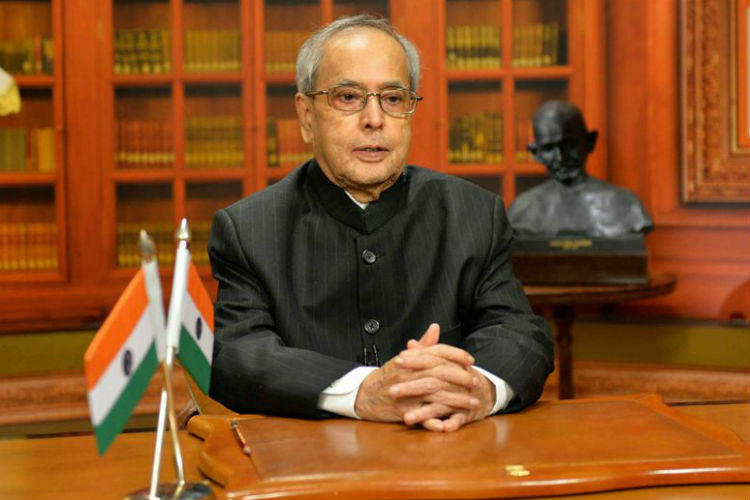 The current President, Pranab Mukherjee warned the govt on passing legislation through money bills and asked them to take the parliamentary route. Power is a very subtle thing and true welfare can only be achieved when the power is balanced and each constituent stays within its rights. While it is almost akin to asking for Utopia,the role of the President is primarily as conscience keeper of the Constitution. If all is in order he is just a figure head, but when the constitution is in crisis he has to step in and reprimand like the Grand father of the house. 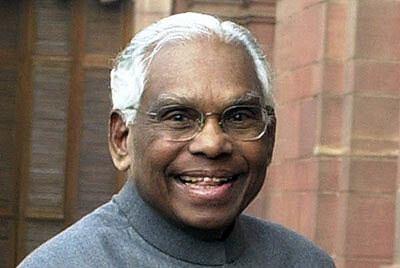 This govt has dismissed two state govts, Arunachal & Uttarakhand and imposed President’s rule. The Governor’s role in both of these states has been highly questionable, the courts had to step in and reverse the order. This is one instance where the President should have played conscience keeper and avoided the govt the ignominy of judicial reprimand. 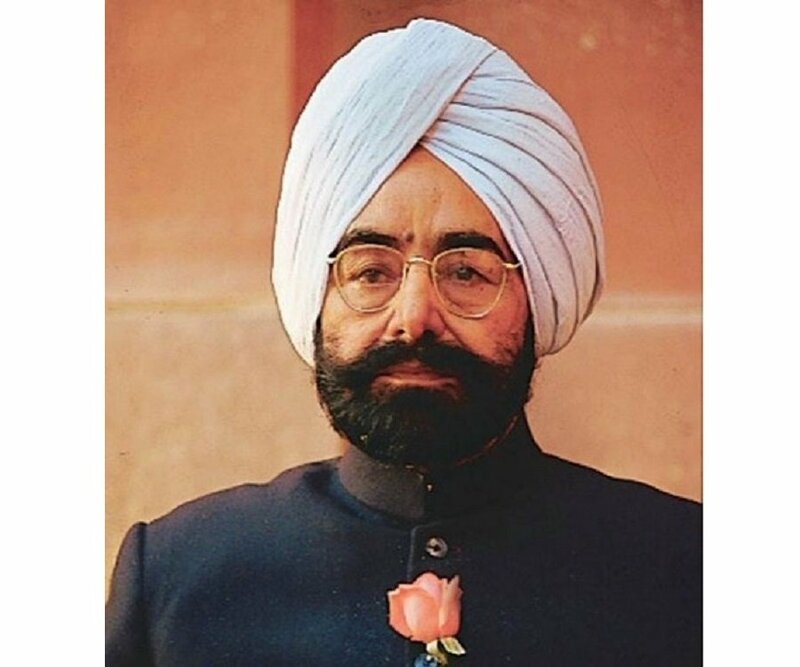 Hence it is extremely important that the President of the Country be someone of impeccable stature and have a standing distinct from the govt of the day. Till such time both candidates can brandish their caste on their chests as a medallion and prove their credentials. He is wretched, his heart is crying out. 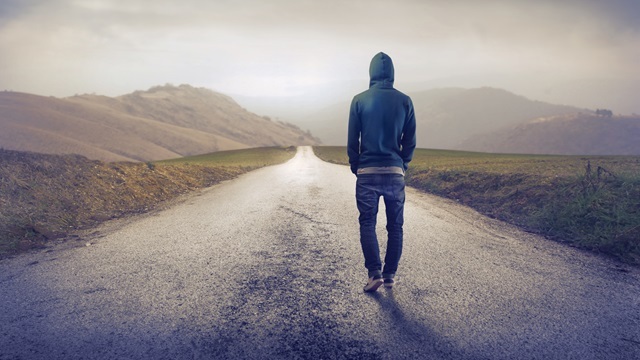 He is empty from the inside and seeks the world but the world doesent know he exists. From a distance the Loner and the Hermit look the same. Both are alone and devoid of human contact. But come a little closer to the perimeter and the differences scream out. The world looks at him with amazement, they ask him, What is it that you have? We want that? He smiles and moves on. Nothing is permanent, neither these people nor their opinions, everything is fleeting, he doesent grasp it, for he knows doing that would be ludicrous. He just can witness it, that’s it. He just witnesses it. He despises his current state and craves for another pasture. He is longing for a contact. A connection that could complete his inadequacies, that could complete his polarity. Something that he could scream to the world and say,”This defines me.” But the world is not listening, it just doesent heed. The harder he runs toward it, the farther it seems to get away. He is soon losing his steam. With that he is losing his self respect. He hates himself even more. He is willing to have anything that will take him away from this state. He seeks a state of delirium, a suspended reality that can make him forget his current state. He has tried everything. All worldly intoxications, all seem to have given him only momentary relief. The temporary high is followed by a terrible after effect. The more he is trying them, the more he is getting sucked into this vortex. It all started when he saw someone get something that he didn’t have. 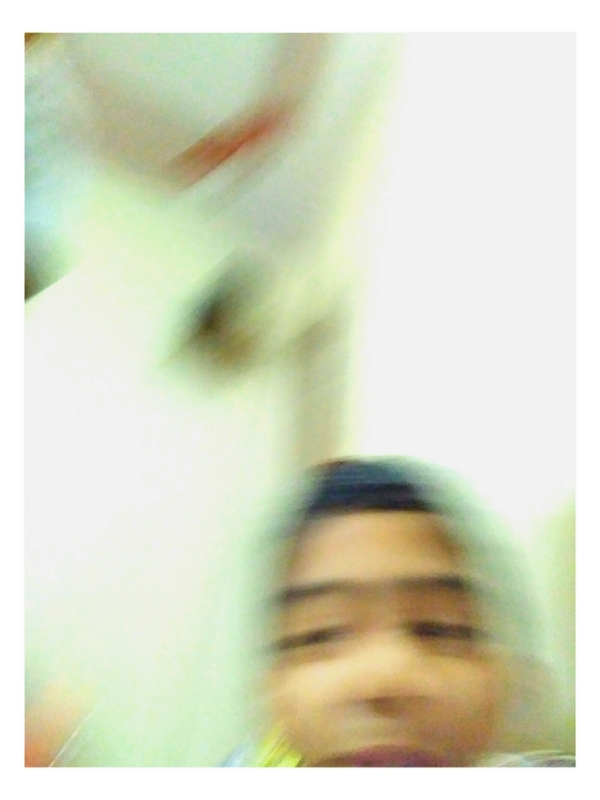 He started running after that, to grasp it, he had to leave what he had in his hand. The run started, at the begining he had a grasp at it, a feeling of immense joy overcame him. As soon as he tried to grip harder it slipped away. He started running and has been running ever since. In this run slowly and steadily he lost those who were with him and seeked newer friends. But now the run has got the better of him. Those momentary acquaintances have slipped away. Off late the world is avoiding him. They just don’t seem to want him. He is not welcome. The spirit has seared thin. He has run his heart out and the thought of giving up and becoming a comatose vegetable has crossed him twice. “Let the world win, to hell with them, I give up…” These are the words that are crowding his mind today. What started off as a sprint, became a run and slowed into a walk. As the walk came to a strutter, he stopped and sat. As he looked back there was no one. The world was no where to be seen. What lay ahead was the sky. The ground had ended. There was a deep gorge ahead. As he sat thinking, he saw the hermit by his side. The loner kept looking. The sky was on one end, and the gorge on the other. But he seemed to be looking at the hermit’s direction. Before we start, this is a masterpiece shot by my son himself. “Child is the father of man”. So spake William Wordsworth many years back. What did he mean??? Possibly he meant that habits formed in childhood stay with you in your adult life. It could also possibly mean something very literal, i.e children by all means are more evolved than adults ever are or as someone said Adults are nothing but deteriorated children. The last few weeks I have learnt some very important life lessons from the inconspicuous actions of my 6 yr old son Arjun. And I have penned this down only after I have observed certain behaviors passively in him without making him conscious of the same. In fact it’s a release to know that he is just about in to reading complete sentences and is not yet on Facebook. So most probably he won’t be reading this for I don’t want him to be conscious of something that he does so effortlessly. Lesson No.1: Making a connection. We went to a mall some time back and were engrossed in shopping. My wife took some clothes and headed to the trial room, it being a weekday the store was relatively empty. My son almost instinctively followed my wife to the changing section before being stopped by a lady security guard who possibly last smiled when India became independent. Dejected he came back and started playing with the trolley. I ignored and continued looking for dresses as instructed by my wife. After a while I saw the security guard and Arjun playing with each other. He was hiding behind the trolley and she was ahead. Both were moving around in circles. She would look up momentarily as if to pretend that she was not playing around lest the security cameras would capture her. But as she kept going around she would look back at Arjun and both of them had this mischievous twinkle in their eyes. There it was, he had made a connection. The vibe which she gave us first was absolutely repulsive, I Infact had moved far away from her without even realising it. That was a brick wall. How did he breach it? Instance 3: We are on a holiday in Kerala, We are in the restaurant having food. There is a garden by the restaurant. There is a small kid playing in the garden, He approaches the kid tells him something, I am sure the kid doesn’t understand Hindi. After a while both of them are running around in circles to sit on the slide. Arjun is speaking to the child in Hindi, he is not responding at all, but that doesn’t matter, both are running around, sitting on a see saw. And again both sets of parents never spoke to each other. Instance 4: Another anecdote from the holiday. An older kid came to the hotel and started doing stunts at the play ground. He hung himself upside down on the swing. All small kids clung to him like magnets. Arjun pulled me to the play area to meet the kid, he was older, around 12 years. The topic of conversation was very important. “Dad do you believe this. This Dada here has unlocked Rain forest in Archery Master. He uses the Golden Composite arrow. How can he do that we are still stuck at Deadly Dessert with a Carbon Composite arrow?” All I could manage was a smile. Both of them spoke like they knew each other from birth. Instance 5: Again on holiday, Stuck in a shelter at the top of a Dam with many people as there was a thunder storm. Everybody was looking worried as the Jeep to carry us was not arriving. Utter chaos. He looked back and there were some kids. He did his Zulu dance, throwing up his hands and legs, the kids started laughing. He is speaking to them in Hindi and the kids are laughing and having a good time. They don’t know Hindi, He doesn’t know Malayalam. But when was language a problem. After a while the parents in that area of the shed joined in and were having a good laugh. My mother was visibly a bit embarrassed at the show. She was telling him. Why did you dance like that??? He just kept laughing. My learning: How do kids make these connections instantaneously? How is it that they are so spontaneous? Why is it that they have no fear of failure? Why is it that they have no pretensions? Well here are the answers that I can conjure up. Possibly because Kids live life like it is meant to be lived. They live in the moment. The are not overawed by what happened to them sometime back or what will happen if something negative happens in the future. They just do it. They just act. They will deal with the reaction of their action when the time comes. How many of us can do that? In my personal life there have been so many instances where I think I should have behaved in a particular manner after the event has passed. But when it was happening there were so many things happening in my mind that I froze and couldn’t take the right decision. We act through the prism of the mind. Faced with any situation our mind throws up past experiences and possible outcomes as extrapolated from past data. We are stuck in the clutches of this prism and only act out of our fears or our anxieties in most cases, whereas the moment has nothing to do with either past or future. it is independent. How easy to say, but how difficult to act on this. 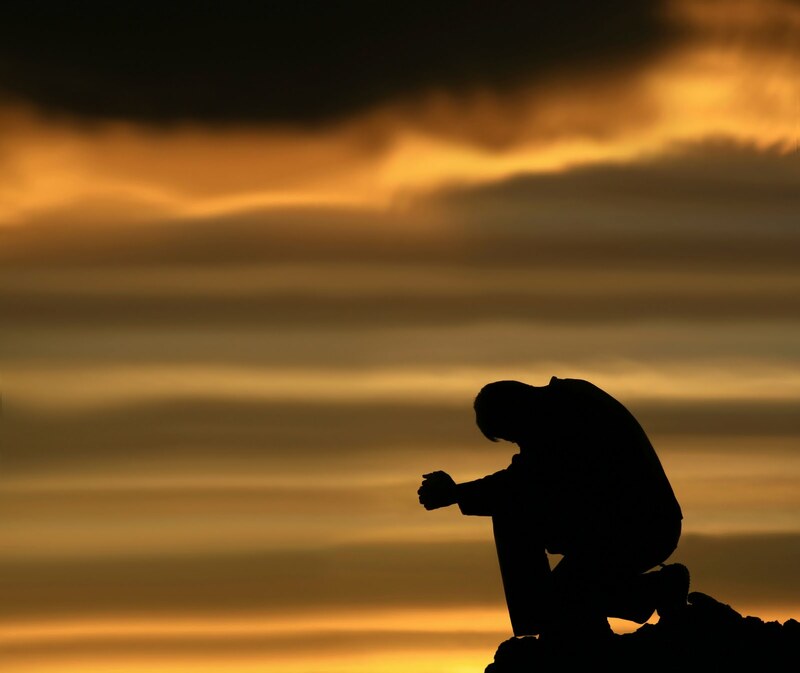 The Freedom from Ego: What is Ego? Eckhart Tolle once said Ego is identification with Form. Well here is how I would define Ego. Ego is a false self that we have created in our mind or the mind has created without our knowledge basis our life experiences, our fears, our anxieties and our wants from life. It is like a monster that lives within us which keeps wanting. Nothing satiates its hunger. It just keeps getting bigger and bigger as we grow older. Most of us are unconscious enough to completely identify with the ego, i.e ” I am the ego” it dictates our behavior, our response, it gives us distress when we are not able to satiate it’s hunger. Basically we act out of its command. If the ego thinks we are bound to suffer, we will suffer. If the ego thinks someone was unfair to us, it gives us the license to inflict torture on another. The ego gives us justification for all our behaviors. But look what the ego takes away. It takes away Free will. It takes away our right to respond independently to a situation. It takes away our spontaneity, our life energy, the one that makes us unique. This is what ails all adults. Now look at kids, they are still in the formative years and the ego is yet not developed fully. The only time it possibly manifests itself is if we don’t give into a child’s tantrums, “Dad I want this… I want that” the “I” is only slowly developing but at least in 70 to 80% of times they are free from the clutches of the ego. Kids have freewill. They do and act as they want, not how the ego wants. This is why they are not afraid of connecting with strangers. They take their chances. They are OK with rejection as they have not associated it with societal ignominy. They just act. But as time passes, the parents feed them with stuff that builds an ego, the parent’s experiences, the parent’s weakness, the conditioning of religion, the conditioning of gender, the conditioning of society, all are passed onto the child slowly and steadily and lo we have another human without being. Why can’t we as adults on the other hand learn these traits from kids? Aren’t they far superior to us ? Look around… They are free and you are not. Why are they free??? I am looking around keenly for other life lessons that my Guru could teach me. This thread will continue as and when this deteriorated adult learns a new lesson from his master. Millions of years ago the ultimate charmer was born. Our friend had a weird blue colour, the reason for which I won’t get into at this point. Playful as he was, there was a special someone in his life who teased him for his weird blue colour. After a point when he couldn’t take this any longer our friend confides in his mother, who tells him to colour the girl’s face with whatever colour he pleases. The man in question is Krishna of course and the girl is Radha. 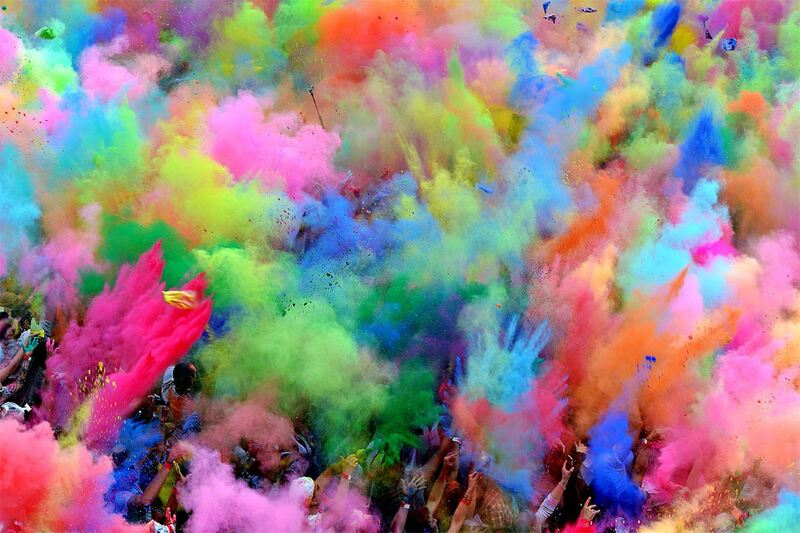 Thus began the legend of Brij ki holi. The way I look at it is Radha got coloured in the colour of Krishna. The colour of love. The ultimate truth. A little metaphorical I might say. The colour of Holi also made them one. If we look at this in the modern context, the message is so relevant. So many lives have been lost and so many civilizations finished because of manmade barriers of race, cast, creed, sexual orientation. Each trying to prove one’s point more emphatically than the other. It has become so difficult for us today to stand a differing point of view. Holi is a message to the entire humanity that all of us must be ready to take offence once in a while and once coloured all of us look the same. Once coloured you can’t differentiate an athiest from a thiest, a rightist from a leftist, a coloured person from a non coloured person, or gay from straight. Its a gentle reminder that love is the only true emotion which cares two hoots about these man made barriers and is the only thread that binds the entire humanity. So let Holi be a reminder that once in a while you should let your hair down, lock in all those extreme views in your closet and just love everyone around. Take some offence for god sake, after all you are nothing more than a small dot in this magical cosmos.